Compression shorts may be the best thing that’s ever been created right? Well, that really depends on who you ask. A lot of people love them and use them for not only sports outing and activities but for every day wear as well. Other people think they feel weird and don’t care for them, but if you’re here reading this you already know why people wear these. Nike may not have pioneered the use and manufacturing of compression shorts but they’ve certainly come close to perfecting it with their 2.0 shorts. 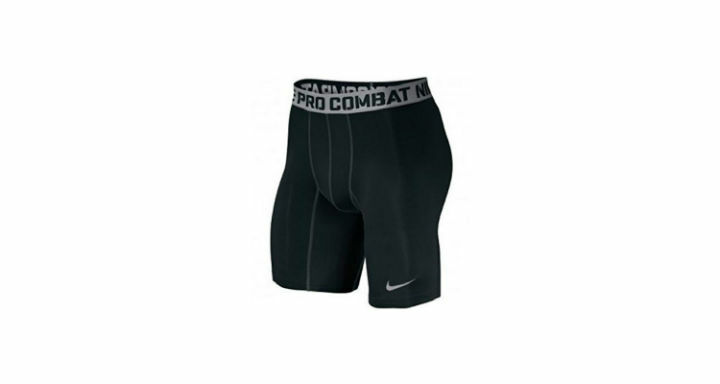 You ‘ll learn exactly why in this Nike pro compression shorts review. Let’s get started! These shorts have this crazy fabric that somehow keeps you dry and cool as you are actively sweating. They have a tight fit without being overbearing, this ensures that the shorts move with you without getting bunched up. This, in turn, increases your range of motion. So, they have this thing called flatlock seams and this is something I had to look up because even though I was able to feel the difference, I didn’t know why it was different. Not something many compressions shorts have and even when they do, you still end up becoming chaffed. Luckily for you, that’s not the case here because the seams actually do their job and prevent chaffing all around. This may not seem that important but trust me when I tell you that without a snug waistband, you’re gonna’ have a pretty rough time of it. Now if you’ve never really played sports without these under armor types of compression shorts than all of that may not seem like much to you. For those of you that have been unfortunate enough to play something like basketball in say, regular boxers, then everything outlined above probably seems like a dream come true to you. Having compression shorts on when are participating in any type of activity that requires you to be extremely mobile is equivalent to running without having shoes on. It just puts you on another level of ability. Between having your clothing move with you and the ability to keep moisture off you it’s difficult to say what’s best about these shorts and honestly its something that you need to experience for yourself. I could sit here and tell you about these shorts down to the smallest details but at the end of the day what’s truly going to make you understand is slipping into a pair of them. This should be obvious at this point but just in case, allow me to reiterate my point here. Get these shorts! I have to point out, though – they can be a little expensive. Check their price on Amazon.com here! While that is a lot to pay for a single pair of shorts, whether on the low end or the high. Now I do have one thing to say about these shorts that I hate, the waistband is super low. Now if I wanted to wear any type of clothing that could be referred to as hip huggers I’d go buy a pair of skinny jeans. I can’t recommend these shorts enough despite having a low waist and if you want something that is going to last while providing you with one of the best performances of your life, then you need to buy these shorts.